"After three hours of chores, breakfast, phone calls, and getting mail ready, it was 9:30 by the time I got to sewing. I sewed three blouses before noontime." As an Amish wife and mother of six, Lena Yoder has plenty of ways to fill her time. "I helped with the afternoon milking, baked two different kinds of cakes, made two pizzas, and got everybody ready to take supper to school for the teachers." But amid the endless tasks to complete and challenges to overcome, Lena's simple joy and deep faith are ever present in these brief, first-person accounts. "I am thoroughly enjoying these days at home...Our family is filled with love...I could never list everything I am thankful for." These unassuming glimpses of Amish life will touch your heart and inspire you to seek the simple things—a loving family, a good day's work, and a grateful heart. Lena Yoder, author of The Tastes of a Farmer’s Wife (a cookbook), lives on the farm she was raised on in a large Amish community. She and her husband, Wayne, farm their land, raise their six children, and participate in the life of the Old Order Amish church. Their desire is to live for Christ daily and let His light shine through them. Start reading My Life as An Amish Wife (Plain Living) on your Kindle in under a minute. 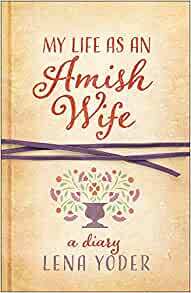 This was a fun, informative of daily life for an Amish wife. I have read many non-fiction books about the Amish and enjoy Amish fiction but they don't really tell you about day to day life like this one does. Her life is certainly more difficult than ours with all our modern conveniences but her attitude is more positive than mine was when caring for my family. Me get up at 4 a.m. to milk cows? Oh that wasn't going to happen! LOL She has a gratitude for life that was inspiring to me. If modern women think that they work hard, then they need to read this book. This wonderful Amish woman makes me feel positively lazy. She makes me want to get up and clean something. She is an inspiration to how a home should be run. She just amazes me in how much she gets done in a day. It is a fabulous book, warm hearted, funny and easy to read. I just wish every girl in this lazy generation would read it. The book was so-so. I liked some parts of it but others were actually upsetting to me. Such as when their dog got hit by a car and they appeared to just let it suffer and die for a day or more rather than taking it to a vet, or even just shooting it when it was injured so bad. They got another dog after that and it was annoying, so they got rid of that one. Then there was a third dog they got that seemed to be working out ... but then the author quickly said that they had to get rid of that dog for a number of reasons without specifying ... and then quickly went on to something else. I realize the Amish think of animals differently, but their very young son was in love with the dogs, even calling each dog his best friend. Just seemed cold for the family to just let the first one suffer and die without vet attention and get rid of the others for seemingly petty reasons. If they didn't want dogs, they shouldn't have kept getting new ones. Loved this book. As a stay at home mother of 3 (hopefully more to come) on a small but growing homestead, I found great encouragement in our similar daily activities. But I loved hearing wisdom from someone with more experience and I wish this book wouldn't have ended so soon. It's so refreshing to hear someone take joy in the day to day and their walk with the Lord. I really like this book. I would love to be Lena's neighbor. If you are looking for an Amish Mafia wife book, try something else. This is sweet, wholesome and a loving, everyday account of a simple, faith filled life. Reveals the every day life and endless tasks and chores of being Amish. The author strives to have a good attitude and instill in her offspring the satisfaction of hard work and simple pleasures of life. 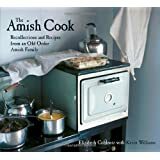 I chose this rating based on how easy the book was to read and also how it demonstrates the true life of the Amish culture. If you are helplessly searching for a simpler life, this book will most definitely give you a taste of the true meaning. Good read...made me want to get another book on Amish people. There living is intriguing to me.